ERC Consolidator grant for the Guse Lab! Starting in 2017, our research on the molecular mechanisms underlying intracellular coral-algal symbiosis will be supported by nearly 2.3 million euros from the European Research Council (ERC) for the next five years. This award recognizes the potential of Aiptasia as a powerful model system and allows us to launch many new and exciting projects on two fundamental aspects of symbiosis establishment: symbiont acquisition and the metabolic dependance of the host. Can it get any better? I don’t think so. Please find out more about the other four successful fellows at Heidelberg University here and also check out the nice article about us on the CellNetworks webpage. 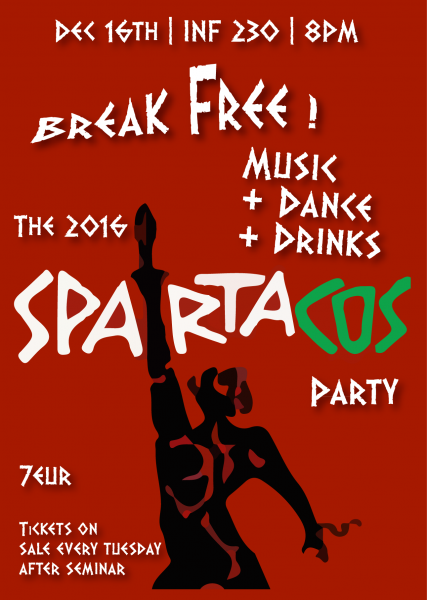 This years COS-Party centered around Spartakus, a roman slave and gladiator (111-71 BC) who got famous for organizing a major slave uprising against the Roman Republic. Thanks to a group of highly creative COS PhD students and Postdocs, this party turned out to become much more than an ordinary Toga party: the venue was transformed into an area with ancient pillars, archs and vormitorium. The orchestrated use of music (thanks to COS PI Alexis Maizel alias DJ Engrailed), beamer, lasers and fog machines recreated the feel of being a member of the lowest class of society in the midst of the harsh reality in the ancient Rome. The extraordinary costumes did the rest. As last year, the best costume award will most likely go again to the Lemke lab. I think ballot-rigging is the only way to stop them. 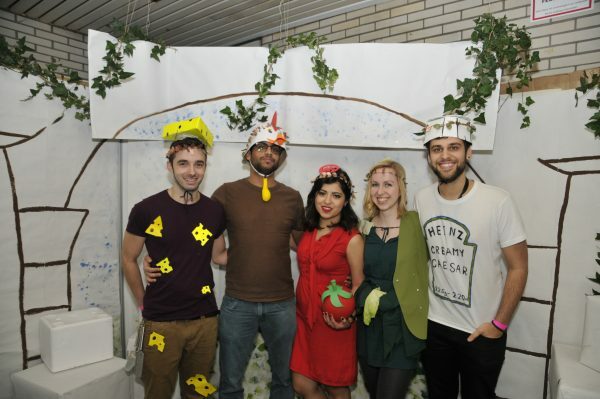 Worth mentioning is also the costume of the Centanin lab who showed up as a Caesar Salad. 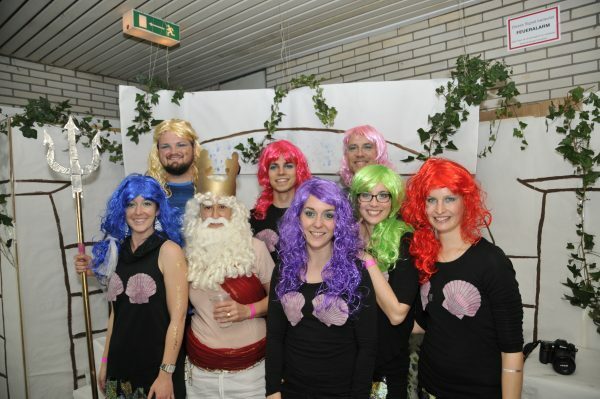 However, even without being anywhere close to be best-in-show the Guse Lab members made a very strong appearance on the dance floor as the cutest mermaids ever seen as COS surrounding Neptune, their fearless leader. Pics are to come soon – just wait and see for yourself.